Gravel bikes have numerous advantages as a symbiosis of road racing bike and mountain bike. On paved roads as well as on forest roads, maximum fun is achieved. 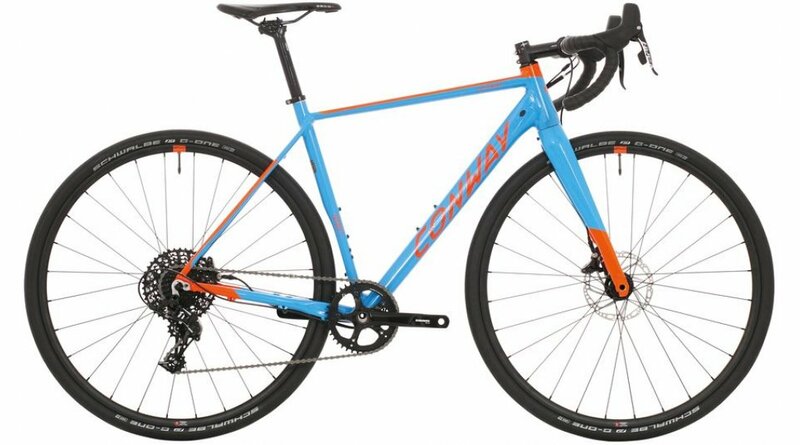 The higher comfort than the thoroughbred racing bike due to the more relaxed seating position and the wider tires and disc brakes speak for off-road qualities. The carbon variants of the bikes Conway has completely redeveloped and provided with the latest technology. cassette SRAM PG1130, 11-42 Z.
crankset SRAM S350, 40 Z.